I admit it, I'm a pushover. We had one extra dog come in the day after we filled the last slot in our February adoption special and I couldn't stand the thought of this lovely dog not getting a chance. 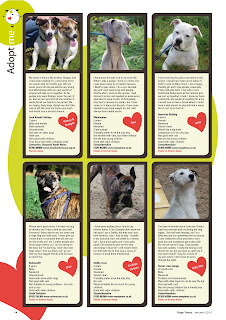 So I've created two more pages for the feature - which means we've got space for 10 more dogs! Please pass it on and spread the word. 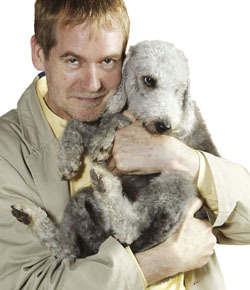 We need 100 words as if written by the dog and the answers to some simple questions and a good photo that is big enough to be printed - ie 300 dpi and at least 1MB when you email us - certainly no less than 500kb. 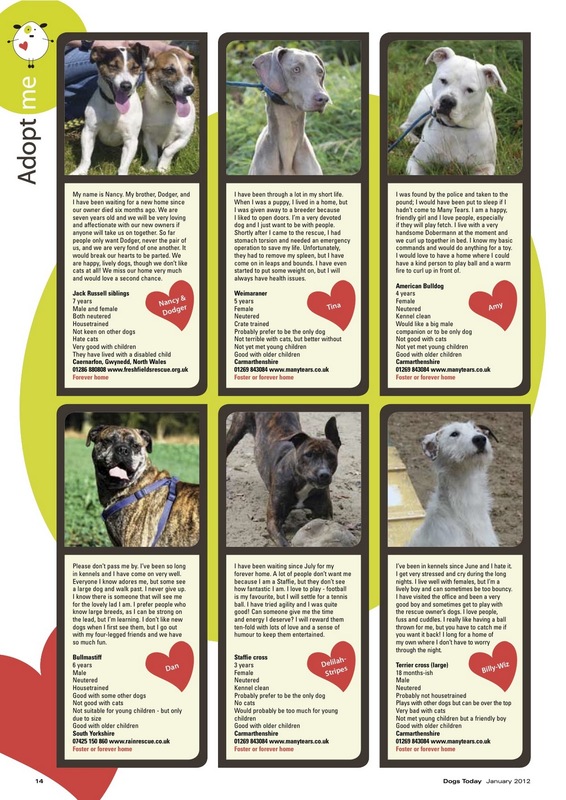 Email me, beverley@dogstodaymagazine.co.uk with "Adopt me 2" in the subject line. Check out the way the pages look in the current issue to get the hang of how to do the best write up. Write as if you are the dog looking for a home, make your dog an individual and not just a statistic. 9. Good with young children? 10. Good with older children? 13. Foster or forever home? Hurry! Please spread this far and wide. And yes - this is completely free.